I hope you all had a wonderful Christmas. Ours was a whirlwind of hastily discarded gift wrap, steaming coffee, sweet and sticky cinnamon rolls, outside chores, family board games, hauling protein supplement to the old cows, prime rib dinner and at the end of the day a delightfully early bedtime. It was back to work yesterday. We saddled horses and moved the heifers to a new field. 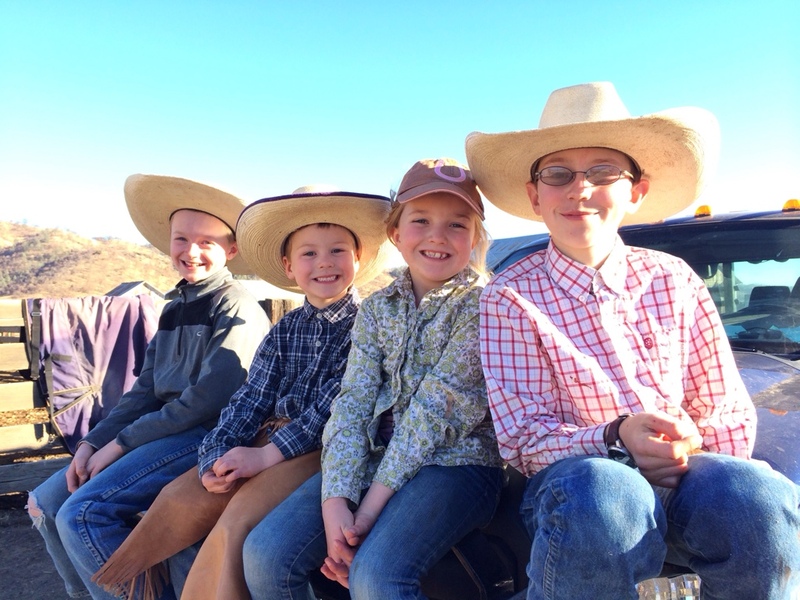 Kids were excited to use some of the new cowboy gear they received for Christmas. I was excited to get a photo with all four of these hooligans and not one pouty face to be found. This may seem like a small thing to you, but let me assure you this is a Christmas Miracle for our family this year! 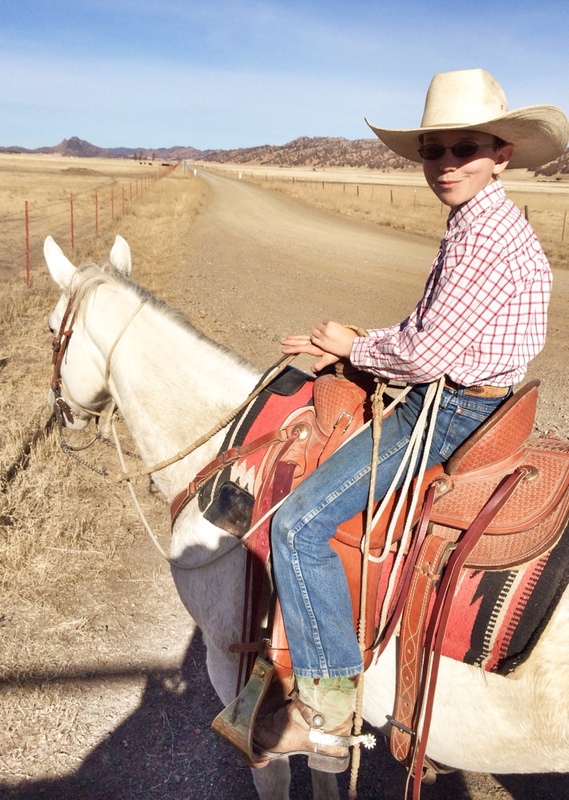 With all of this busyness I find myself enjoying our ranch work more than ever. It forces me to slow down and focus on the moment. The kids and I have spent many hours moving cattle and hauling out protein supplement this winter. The cows come running when they see us drive through the gate with the supplement. 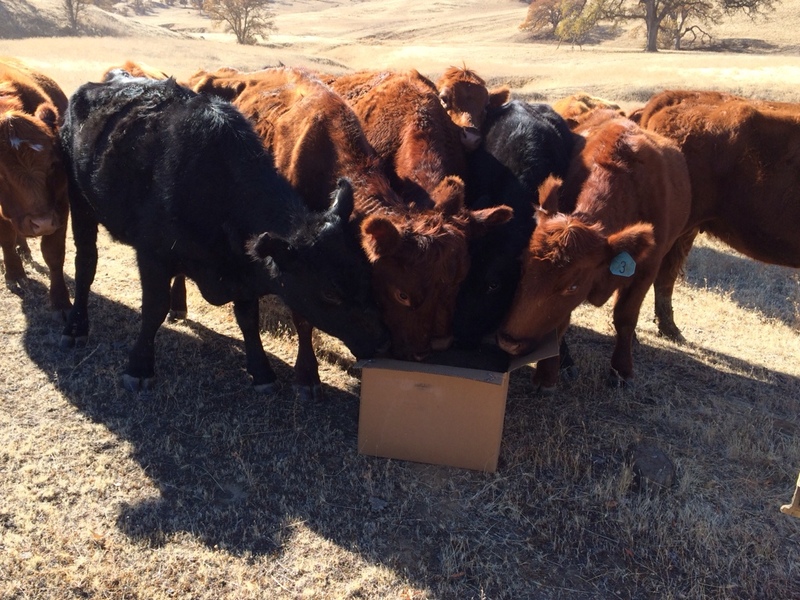 I swear it is just a big ol’ box of bovine candy. They’re exactly like my kids: I can hear all of them them nagging, begging, asking for more candy! 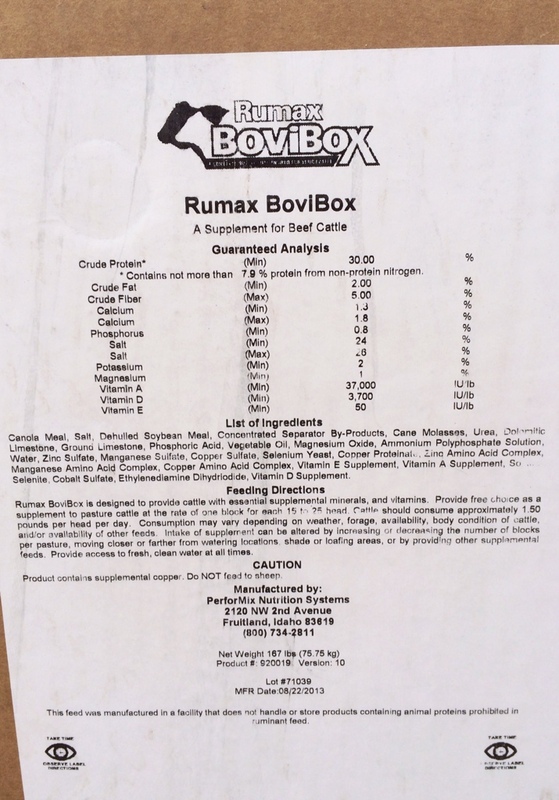 These Bovi Boxes help balance the cattle’s nutrient requirements throughout the winter. They do not get all of the nutrients they need from the dry grass and hay that is their winter feed. So, throughout the winter months, we take this protein supplement out to each group of cattle typically once a week–more often for the heifers that will start calving in a month. It may not be chock full of sugar like those candy canes my kids eat throughout the Christmas season, but neither cows nor kids seem to get enough of their favorite treats!